Recently I “ran into” three cake pops that I couldn’t pass up. The first two were from Whole Foods in Mt. Washington. I was going in hoping for cupcakes because I’ve read before that they are decent. Unfortunately, there were no cupcakes but they did have cake pops (so not a total waste of a time). They had three flavor options: white chocolate, dark chocolate, and pistachio. Neither my hubby or I are huge white chocolate fans, so I left with a dark chocolate and a pistachio for about $2 each (I think). We started with the pistachio. Lately, my hubby and I have been snacking on pistachios so we were both really excited, only be be let down. 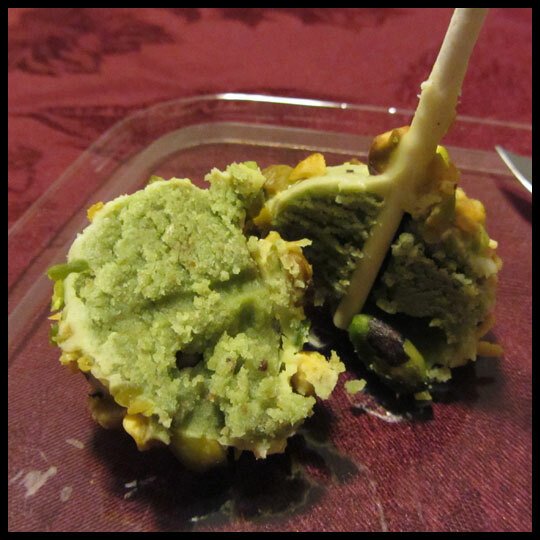 The pistachios on the outside were soft and chewy, and there really wasn’t much flavor present. Bummer. But we moved on to the next one. The dark chocolate was melt in your mouth amazing. It was super rich and chocolatey, so much so I grabbed a glass of milk. We were both wishing we didn’t have to share this tiny morsel of a treat. 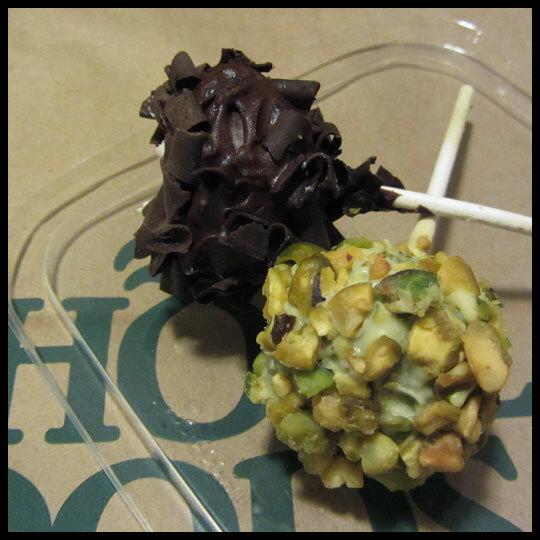 Even though my local Whole Foods doesn’t seem to carry cupcakes, I’ll definitely be going back for their dark chocolate cake pops. Shorty after that, I strolled into Starbucks for my expensive coffee fix (it’s a special treat for me). 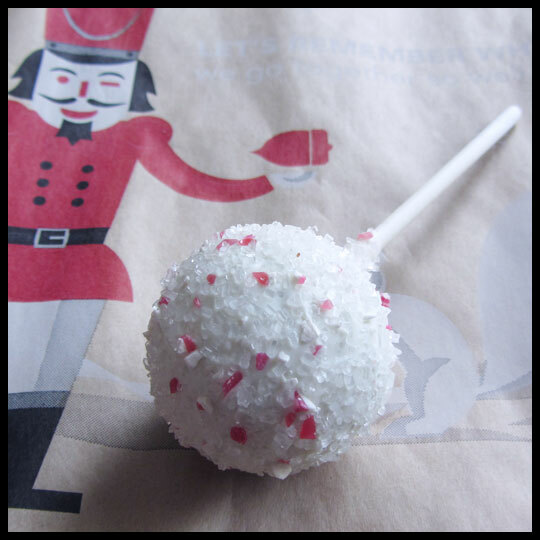 I’ve tried their standard cake pops before (see here and here), but on this particular visit, they had a seasonal flavor: peppermint brownie. I figured, why not? With my holiday red cup in one hand and my cake pop in the other, I headed home. I love the look of this cake pop. White with red flecks scream “winter holiday” and it stays true to Starbuck’s red and white holiday branding. I have to admit though, I was a bit disappointed. I’m not sure exactly why, but overall it just didn’t excite me. 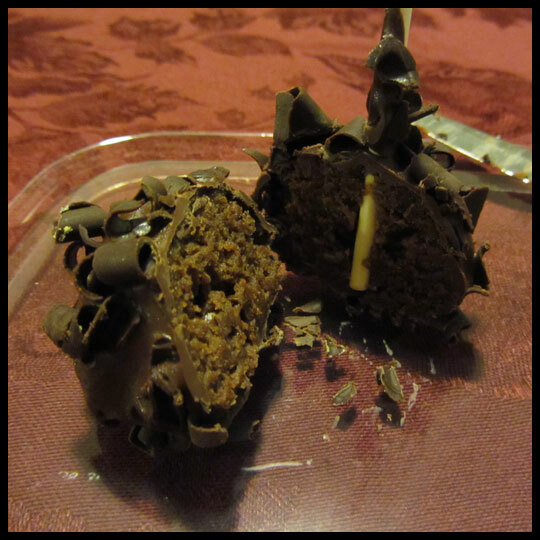 I did enjoy the combination of textures though, with the soft cake, fudgey coating, and crunchy sugar crystals. I think that was definitely the best thing this cake pop had to offer. Guess I’ll have to stick with their tiramisu and rocky road flavors. Even if I’ve had some recent hit or miss experiences with cake pops, I think they are a fabulous addition to the “tiny treat” family. I’m visiting a cupcake shop this weekend that often carries cake pops, so I’m really hoping they’ll have them. I know that the quality of a grocery store and a coffee chain won’t come close to that of a family run cupcakery. I can’t wait! 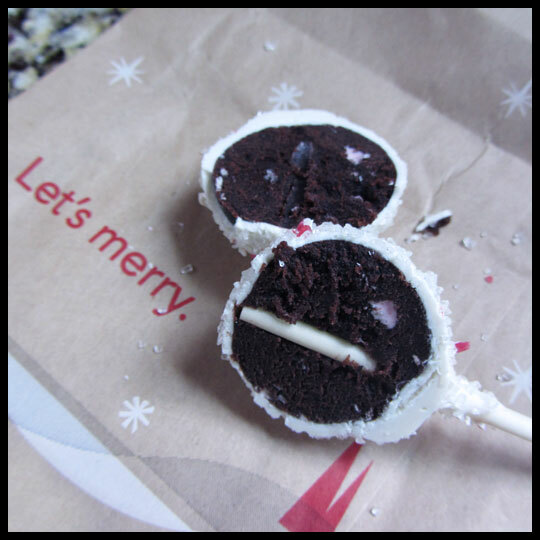 This entry was posted in Baltimore, Cake Pop, Starbucks and tagged Cake Pop, Chocolate, peppermint, pistachio, Starbucks, Starbucks Cake Pop, whole foods by Stacy. Bookmark the permalink. Thanks for reading! So glad you enjoyed the review!